Joe Danger was one of my favorite downloadable games of 2010. Like Trials HD, it had my friends and me competing against each other's leaderboard scores, trying to earn bragging rights by getting the best times and high scores. 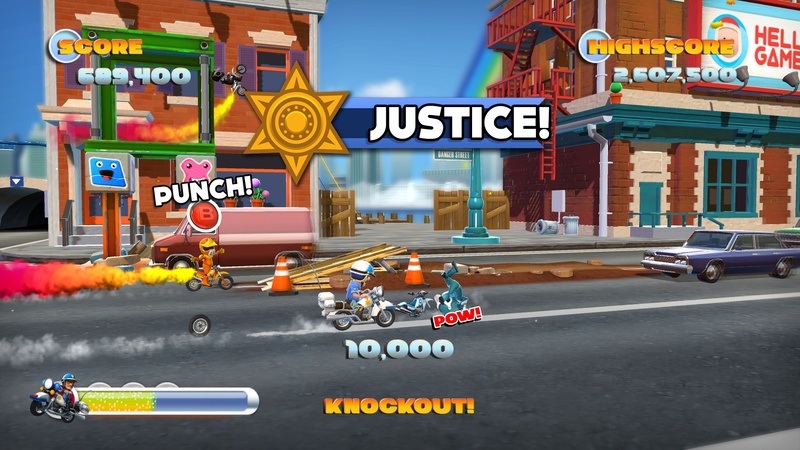 Unlike the grittier Trials, Joe Danger was bright, colorful, and silly, with players controlling the titular motorbike stuntman through increasingly dangerous and absurd tracks. With Joe Danger: The Movie for Xbox Live Arcade, developer Hello Games is aiming to deliver the same fun experience with a lot more content. After the events of the first game, Joe Danger has officially made it big. 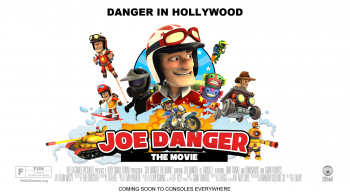 He's a successful Hollywood stuntman, and each level in Joe Danger: The Movie is a different movie set. That means there's a ton of variety in the level design, obstacles, and even vehicles Joe can use this time around. 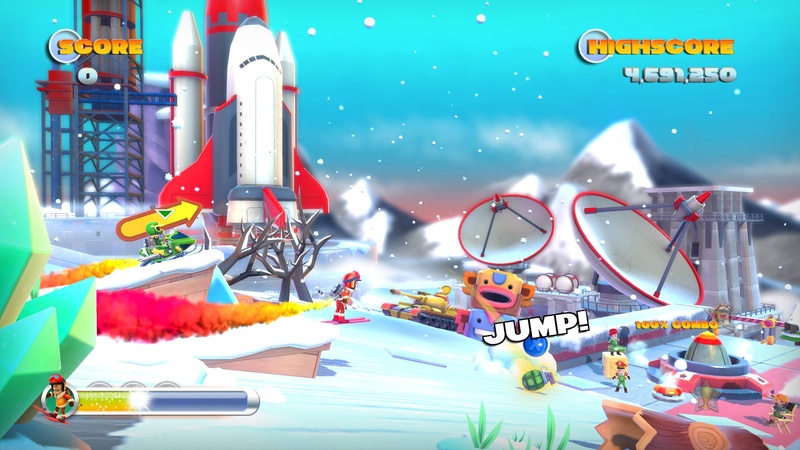 In my short time with the game, I saw Joe Danger on skis, a unicycle, with a jetpack, on an ATV, and riding his standard bike; I was told that there would be around 20 vehicles in the final game, along with 20 to 40 playable characters and a whopping 100 levels (give or take-creator Sean Murray said these were estimates, not exact numbers). Of course, if that's not enough for you, you could always create your own levels. 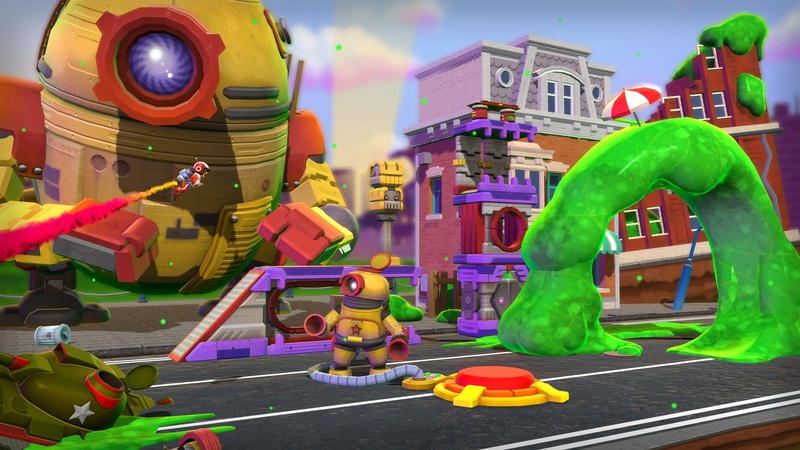 Joe Danger: The Movie includes a level editor called the Toybox that aims to be robust but intuitive, fun and easy to use. There are tons of options - you can create a snow level and make an avalanche, make Joe a paperboy, put a monkey on a unicycle - but the developers wanted to create a level editor that was as enjoyable as the game itself. Players will be able to upload and share their created levels, and they can make single-player or multiplayer tracks. And to show gamers how it's done, the developers will be regularly uploading their own user-created tracks. 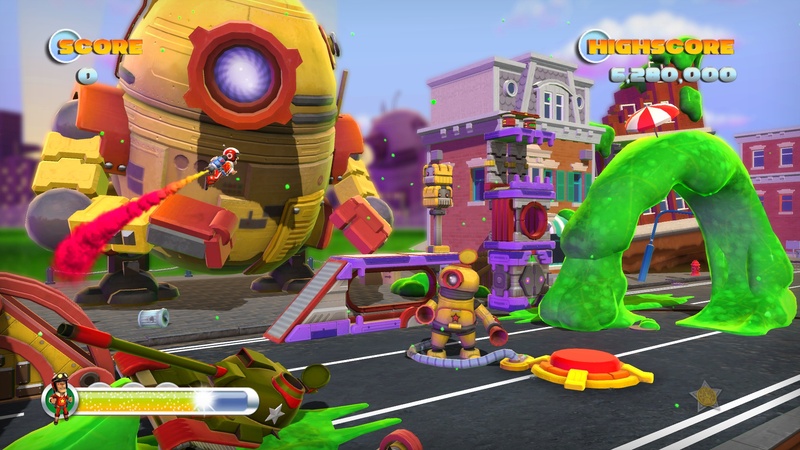 As I mentioned, players can create multiplayer tracks, meaning that Joe Danger: The Movie brings multiplayer action to the game. I played a few multiplayer races against two other people, and having other players on the track definitely changes the dynamic of the game. While you're avoiding obstacles, grabbing collectables, and trying to stay ahead of the pack, you also need to avoid getting punched by your competitors. If you'd prefer to race alone, you can still compete against the ghosts of your friends, as well as your previous best scores. The game controls basically the same, with the right trigger accelerating, analog stick leaning or balancing, and the A button providing a boost of speed. Different vehicles come with their own challenges; for example, the unicycle offers the unique dilemma of trying to stay upright while racing. It's a game that's easy to jump into, though I didn't see enough of the level editor to determine if it's really as intuitive and fun to use as the developers want it to be. What's obvious from my demo of Joe Danger: The Movie is that the game has a lot more content than the first one. The sheer variety in environments, vehicles, and characters is great, but the ability to create and download user tracks and play with friends really adds to the replay value. Hello Games has definitely met their goal of making Joe Danger: The Movie bigger and better than the first, and I'm very much looking forward to taking on the role of the stuntman once again when it hits XBLA this fall.